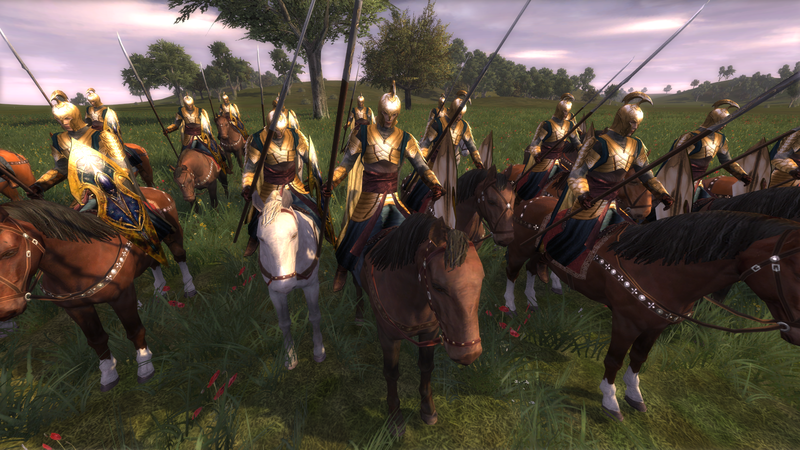 DCI: Last Alliance is the independent sequel to Dúnedain Counter Invasions: Tôl Acharn and is a WIP (Work In Progress) submod to Third Age: Total War. Take the role as Gil-galad, last High-king of the Noldor, or Elendil, High-king of the Númenóreans in exile, as they rally Elves and honourable Men into the League which is called the Last Alliance, at the end of the Second Age. The counter-invasion Tôl Acharn, 'Vengeance Comes', allow you to move mighty hosts against the Dark Lord. Strenghten the cause of the League if you wish to, as the indomitable Durin IV of Khazad-dûm or as the brave riders of Rhovanion (using DCI mechanic). The "Tôl Acharn" is a 'counter invasion', the M2 Jihad-feature renamed; just as TATW have the "Invasion" for the evil factions, which in turn is the Crusade-feature renamed . Factions with the culture 'Hosts of the West' [religion islam] can join the Tôl Acharns at will. The uniqe DCI mechanics allow factions of other cultures [religions] to temporary join the Tôl Acharn, if allied to the calling faction of the 'counter invasion'. Custom prominent genrals on the battlefield like Elendil, Elrond, Galadriel etc. As for all our esteemed former companions, the freelancers and other contributors, see our official page. High King Gil-galad has secured fairness and freedom between the Mountains and the Sea throughout the Second Age. With confidants as Elrond, Glorfindel and Cirdan by his side the king has evadeed the schemes of the Dark Lord. And with Lindon's army of Noldor, Sindar and Lindar warriors the king has repelled Mordor's forces. Lindon will now muster one last time, whether to ruin or to victory, in order to aid the Númenórean Kingdoms against Sauron, and form that League which is called the Last Alliance. Glorfindel, prince of the house of the Golden Flower, is one of the mightiest Elves in Middle-earth. He fell, defeating a Balrog, when Gondolin was ruined in the First Age, but was restored to his body by the Valar. Now he is almost an equal of the Maiar, for though he is a Child of Eru, his spiritual power has been greatly enhanced by his self-sacrifice. So, in the Second Age when the threat of Sauron proved great he was sent back to aid the remaining Elves. Glorfindel is made by Araval, using resources by Lü Bu for the base, Van_louis (Louis Lux) for the head and bilwit for the sword and scabbard. The bodyguard is made by Arioria of mithlond, on the model base by Van_louis. Created by Van_louis (Louis Lux), using for base an eldar unit by Razor, sword and leg models by Yarrum and head and chainmail hood models by Lu Bu. 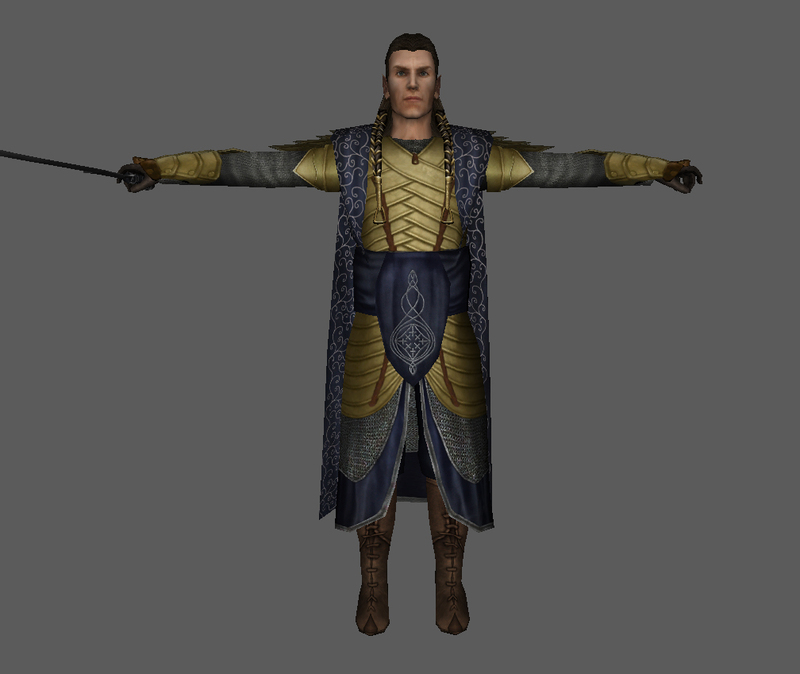 This is the preview of Elrond and Gildor Inglorion, generals of Lindon, in DCI: Last Alliance. 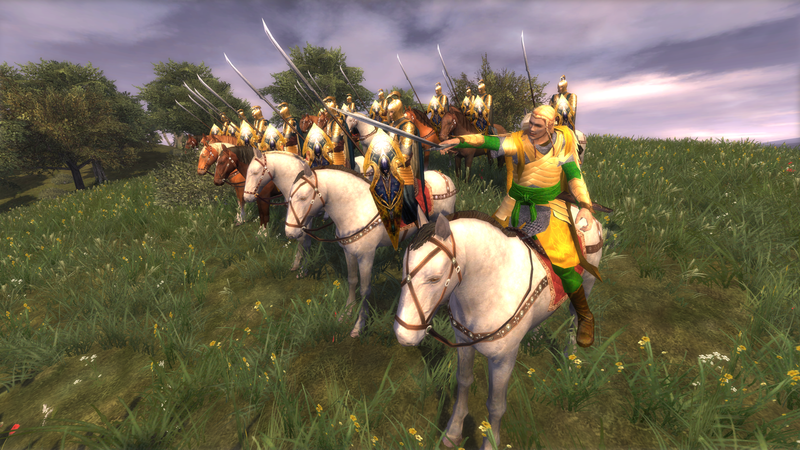 This is the preview of Lindon's general Cirdan and High king Gil-galad, in DCI: Last Alliance. 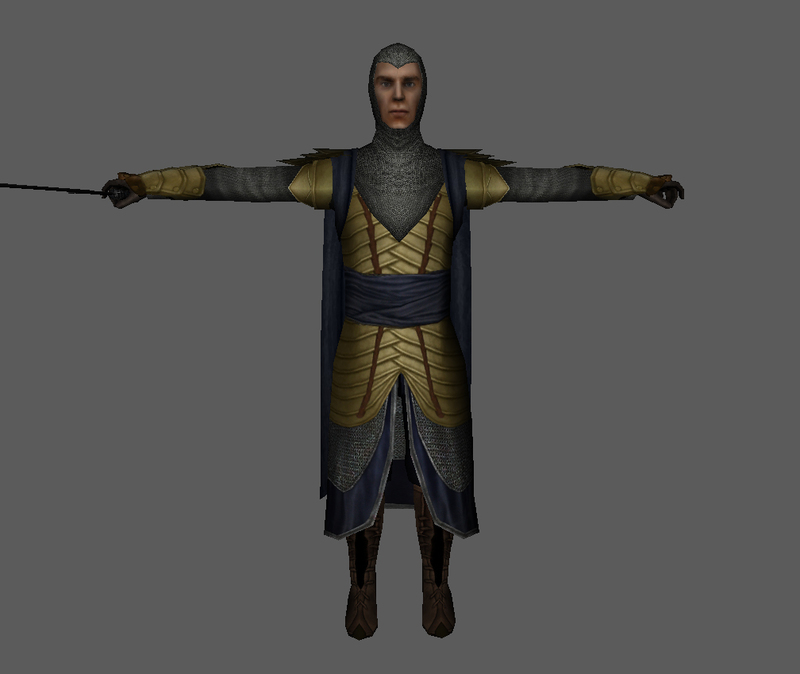 This is the preview of Galadriel, a governor or general of Lothlórien, in DCI: Last Alliance. This is the preview video of the Elven realm of Lothlórien, a faction in DCI: Last Alliance. Most like a Dwarven king then, deep in thought. Is there any update when the Mod will be released? We heard a long time nothing and iI hope that everithing works fine. No, though we shall accommodate for the latter soon. 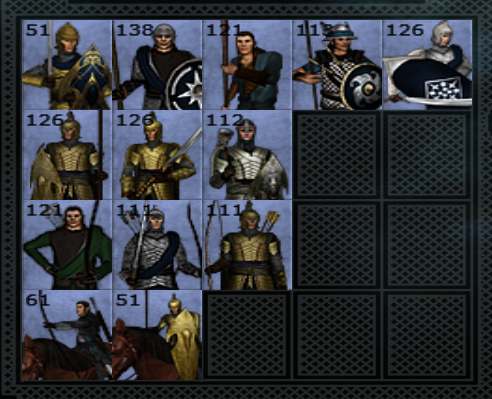 I like every piece of this mod, but Cirdan ... I do no like his model and even his image. It is more funny and fake. I believe Louis Lux still plans to make a new Cirdan model or Aravel will improve his current model, so worry not! Hey guys! Ngugi and team, hope all is going well. Cant wait to hear more about your awesome work. Hey just a thought. You guys should try to contact the creator of the Dagor Dagorath mod. It has been dead for a while, but has tons of unused second age content that was never released. It might be worth digging for contact info. Hello Mento_17. Thank you for the tip, though those devs used material from Third Age: TW without permission, so we're not inclined to collaborate with that project.